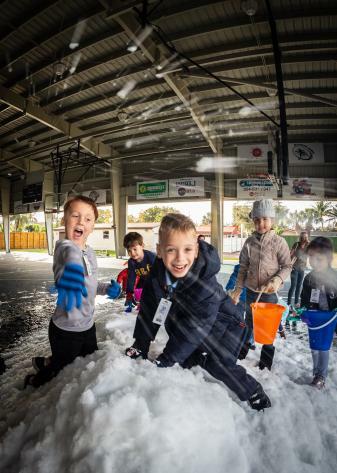 St. Coleman students make snow balls during Frozen Friday fun to mark the conclusion of Catholic Schools Week 2019. St. Coleman students enjoy their Frozen Friday at the conclusion of Catholic Schools Week 2019. 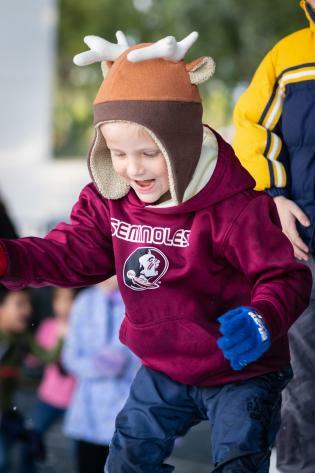 Snow balls fly during Frozen Friday fun at St. Coleman School. 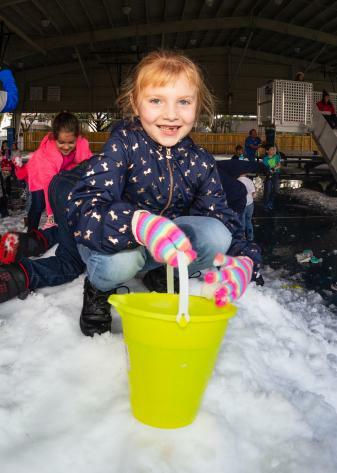 St. Coleman second-grader Keira Hophan plays with her pail in the snow. St. Coleman parent Patricia Arencibia sleds down the hill. Parent Michael McGowan seems to be having more fun than the children. 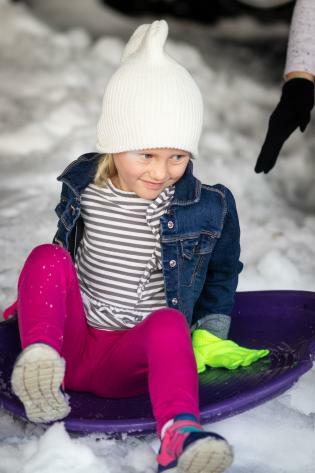 Arabella Bennett enjoys a sled slide down the snow hill at St. Coleman School. 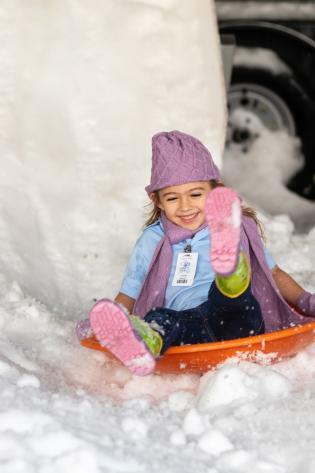 Harper Ziontz, a student in PreK4, reacts after sliding down the snow hill at St. Coleman School. 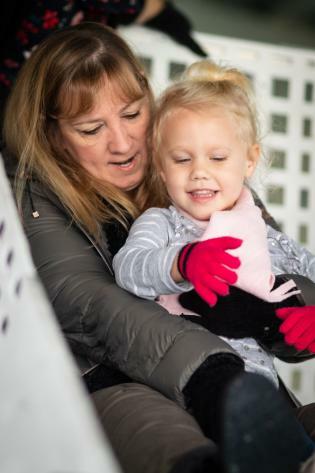 St. Coleman Principal Lori St. Thomas gets ready to sled down the hill with PreK3 student Megan McLeod. St. Coleman kindergartener Chase Gailing delights in crunching the snow. 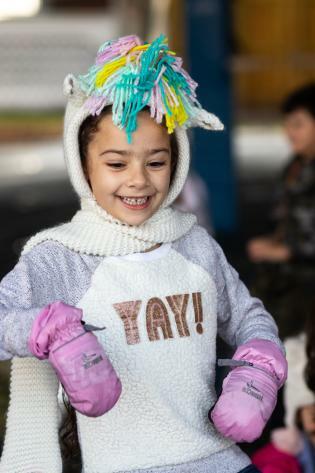 The sweater on St. Coleman first grader Emily Souza certainly seems to reflect her mood. 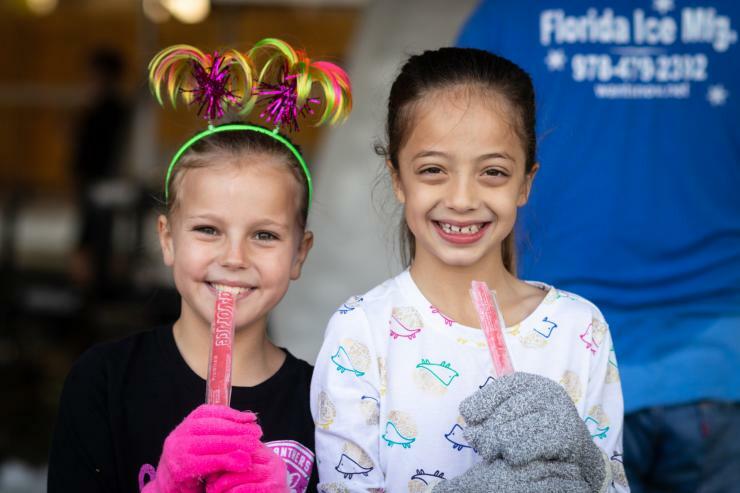 St. Coleman second graders Kinsley Hamilton, left, and Mila Kjos enjoy some frozen treats on Frozen Friday at the conclusion of Catholic Schools Week 2019. 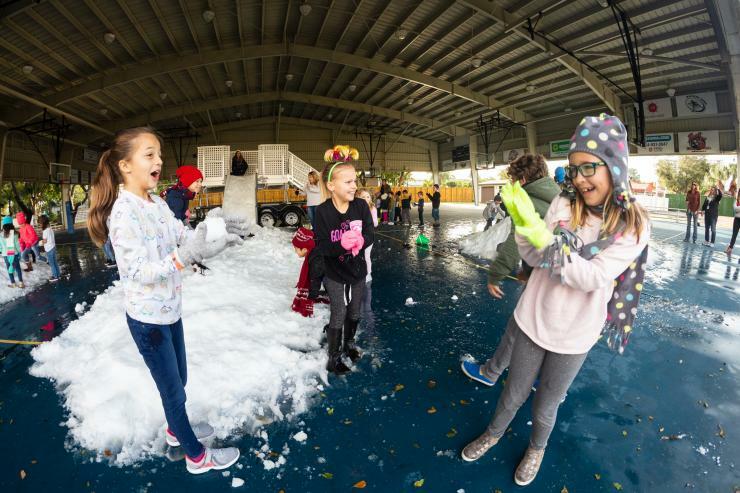 POMPANO BEACH | While the rest of the country began to thaw out from the effects of the polar vortex, students, teachers and parents at St. Coleman School played in mountains of manufactured snow Feb. 1. The scheduled Frozen Friday marked the end of the Catholic Schools Week celebration at St. Coleman but principal Lori St. Thomas threw a frozen curve ball at the day, surprising her students with more than a paean to the Disney movie. 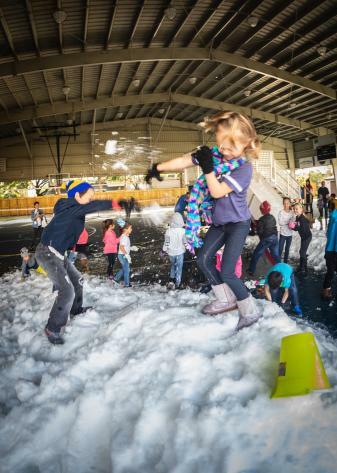 She arranged for a manufactured snow play area and staged winter activities in the school's outdoor gymnasium. 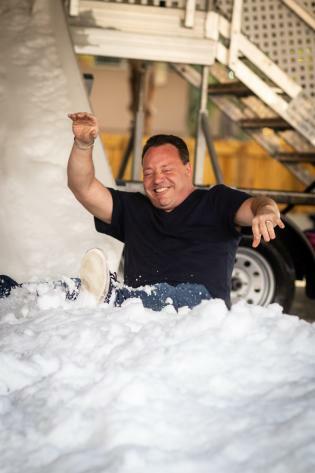 St. Thomas said the parents association and faculty facilitated the fun day for the students, many of whom have never played in real snow.